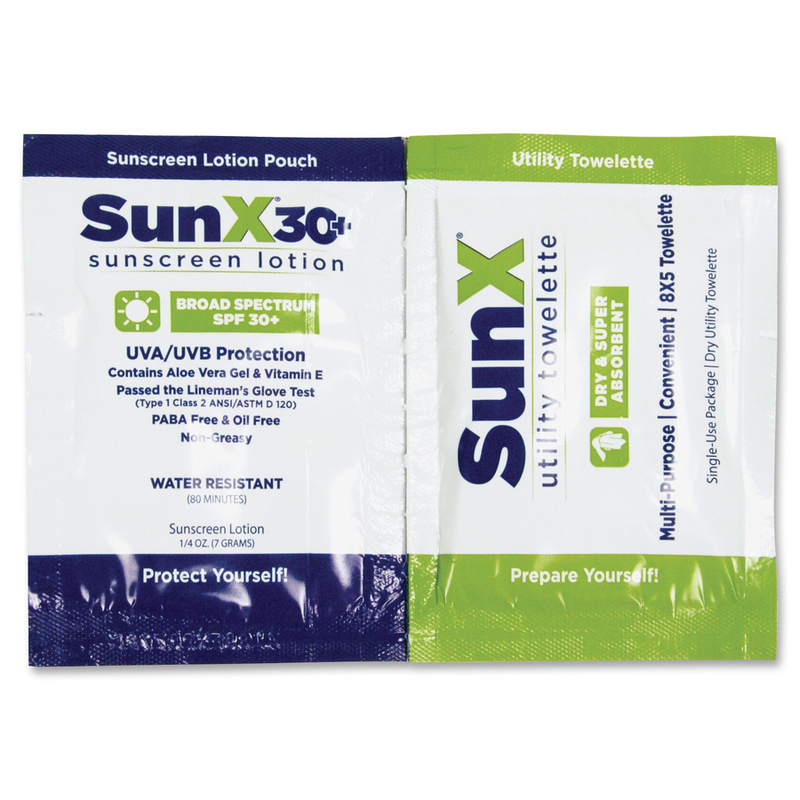 SunX Sunscreen Lotion offers SPF30 plus protection and contains aloe vera gel and Vitamin E for protection that lasts more than 7 hours. Nongreasy, water-resistant (80 minutes), sweat-resistant formula is paba-free and oil-free. Lotion also meets FDA requirements and complies with FDA sunscreen monograph for reducing the risk of skin cancer and sunburn. Lotion ensures full coverage for maximum protection. 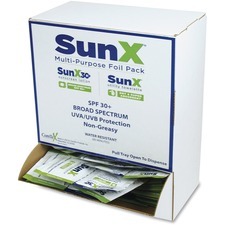 Broad-spectrum formula offers full UVA and UVB protection. To keep your hands dry, apply with the disposable, multipurpose, dry towelette in the adjoining pack. Wall-mountable dispenser allows easy access to the individually wrapped, single-use pouch with lotion in one sealed section and a towelette in the other sealed section. Additional Information Towelette Size: 5" x 8"